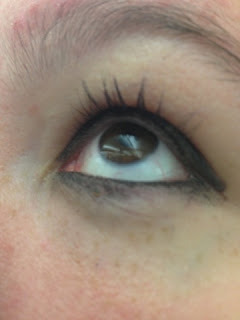 Life of a mad typer: Maybelline New York Great Lash Mascara Pop of Purple Review. 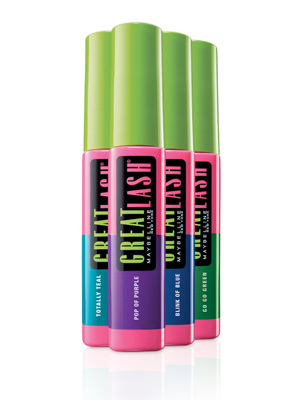 Maybelline New York Great Lash Mascara Pop of Purple Review. I got this thinking it would be awesome because I loved the idea. Its special edition not something always available for purchase and I got it some time ago and was excited to try it. The results........Not very happy with it. It was like just wearing any other mascara and you couldn't tell it was purple it might work if there was a white primer. 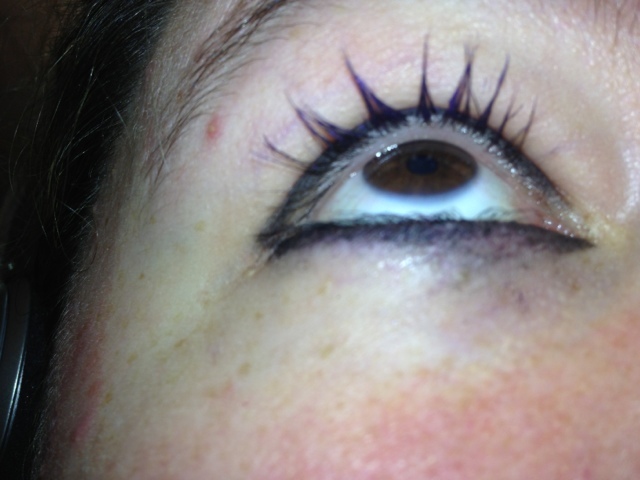 So I tried this mascara again and this time I did about 15 coats of the mascara and you could see the purple. The bad thing is I got this spiky effect on my lashes because of clumping. Who knows maybe the spikes will be the next big thing! Wow, that really stinks! I think purple mascara would be really cool! Maybe it works better on people with blonde or lighter eyelashes. It would probably work on my friend whose eyelashes are blonde. I just had this problem with temporary hair color that doesn't show up on my dark hair, but it works on my friend who has light red hair. Darn...I was hoping to see Purple! Keep looking and thanks for sharing!